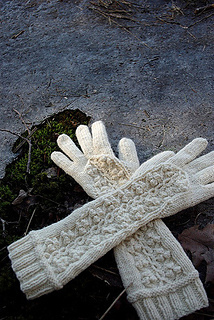 A beret and glove set featuring cables and bobbles. 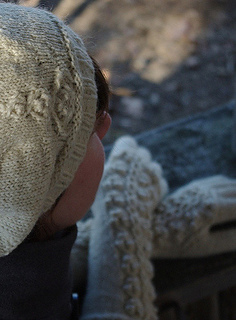 The elbow-length gloves are fitted through the arm and the beret features a complimentary cable pattern. 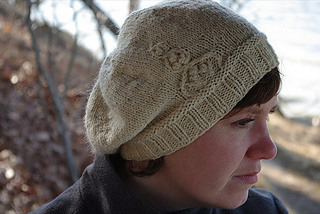 Both items are knit in the round. The cable patterns utilize cabling without a cable needle, which is fully explained in the pattern notes. 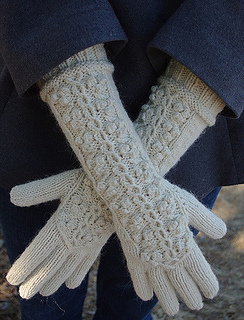 The glove features a 8-row cable repeat. All cable patterns are charted. 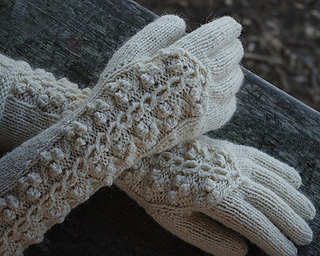 The gloves alone require slightly over one skein. 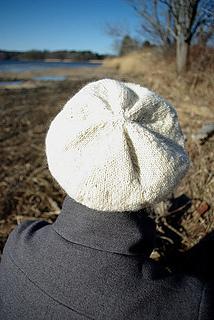 The beret requires less than one skein.